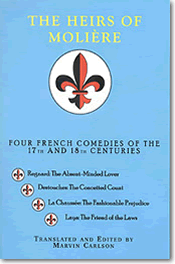 Translated in a poetic form that seeks to capture the wit and spirit of the originals, these four plays suggest something of the range of the Molière inheritance, from comedy of character through the highly popular sentimental comedy of the mid eighteenth century, to comedy that employs the Molière tradition for more contemporary political ends. In addition to their humor these comedies provide fascinating social documents that show changing ideas about such perennial social concerns as class, gender, and politics through the turbulent century that ended in the revolutions that gave birth to the modern era. Translated and Edited by Marvin Carlson.